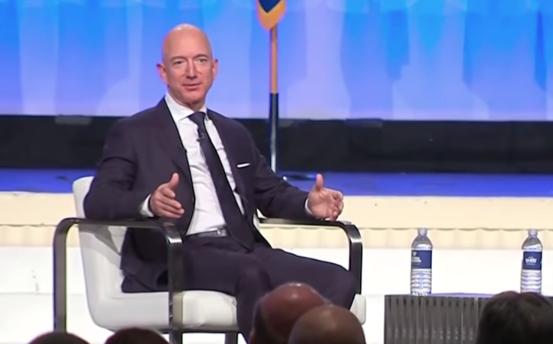 Recently, Jeff Bezos, Amazon CEO, in a talk at the 2018 Air, Space & Cyber Conference, discussed the need for businesses to always be inventive. Businesses should seek out failure if it’s in pursuit of a radically new idea. He says that these experiments are crucial to business success. Bezos also is a proponent of real substantive delegation so that managers can easily greenlight these business opportunity experiments. Additionally, companies should not shy away from hiring mavericks, people that may be difficult to get along with, but who also might be the person that transforms your business. To be innovative you have to experiment. If you want to have more invention you need to do more experiments per week, per month, per year, per decade. It’s that simple. You cannot invent without experimenting and here’s the other thing about experiments, lots of them fail. If you know it’s gonna work in advance it is not an experiment. What happens in big organizations is that we start to confuse experimentation with operational excellence. Operational excellence is one of our four key principles at Amazon. We’ve built over 150 large fulfillment centers around the world now, we know how to do that and that is not an experiment. If we build the 151st fulfillment center and screw it up that’s just a failure, but that’s not the kind of failure we’re seeking. We want failures where we’re trying to do something new, untested, never proven, that’s a real experiment, and they come in all scale sizes. You need to teach people that those two kinds of failure are different. At Amazon, one of the things we try to do is have multiple paths to yes. Here’s here’s a little thought experiment. If you are a junior executive at Amazon and if Amazon did this in the typical kind of corporate hierarchy way, here’s what would happen if you had an idea. You need to get your boss to greenlight that idea and then your boss’s boss needs to greenlight that idea and then your boss’s boss’s boss needs to greenlight that idea. They’re probably five levels or more before that idea gets the go-ahead. Assume instead that you’re an entrepreneur with a startup company idea and you need venture capital. You go to Sand Hill Road and you go to the first venture capitalist and they tell you no and you go to the second one and they tell you no. Maybe your 20th one tells you yes. You got 19 no’s and one yes and you’re still good to go. That venture capital model has multiple paths to yes. There were 20 people who could give you a yes and it didn’t matter how many gave you a no. If you want innovative thinking you have to think about how can we get a large number of high judgment people empowered to greenlight things. You want multiple paths to yes. You want a system where a junior Air Force officer with a good idea if the first five people tell me no somehow I can still go pursue that idea. That’s an organizational challenge that big organizations have to figure out a way to do. By the way, this happens all the time at Amazon. I’ll say I don’t think that’s a good idea but somebody else will greenlight it and I’m fine with that because usually, the cost of the experiment is pretty small. Things only get expensive when they work. Once something works you’re like whoa, we need to double down on that. Then the spending can get heavy and then those become big consequential decisions and that’s where the hierarchy and using the judgment of the most senior people really helps. You also have to select people who like to invent. When you’re hiring and in your promotions process you need to say is this a person that likes to be innovative and do they have a bit of a pioneering spirit. Maybe they’re also a little bit annoying because they might be a little bit radical or a bit rebellious. They’re not always the easiest people to get along with but you want them in your organization.